For almost two years, Canadian Marcelo da Luz has been driving his solar-powered car, the Power of 1 (Xof1 for short) across North America in an attempt to set a world distance record for a solar vehicle. When he reached Alaska earlier this week, the admittedly off-the-wall looking car was spotted by a concerned citizen, who dialled 911 to report a UFO sighting. Alaskan police quickly took off in hot pursuit, and pulled poor Marcelo over for interrogation. Luckily for the bemused Canadian solar pioneer, the police decided not to take the matter any further although, amazingly, this is the seventh time that saucer-shaped vehicle has been pulled over during its odyssey across Canada. Marcelo da Luz is a kind and unassuming man with huge ambitions. He has his sights set on establishing a world distance record for a solar vehicle. That is why he started the Power of 1 (Xof1) project. Marcelo is not an engineer or a scientist, however, at this point he should be considered an expert in the field of solar vehicle technology. He describes himself as Xof1’s project catalyst which essentially means he used his vision to bring together the necessary experts, materials, components and capital to develop a state-of-the-art, single-seat solar vehicle. Weighing in at about 660 lbs. (including driver), the Xof1 solar car uses a 96 volt brushless DC motor with a 3.8 kW lithium-ion battery system that will bring the vehicle from 0-60 in just 6 seconds. Marcelo told me the idea of starting Xof1 came about years ago as he began to realize that we’re a “society of hypocrites” when it came to energy policies. 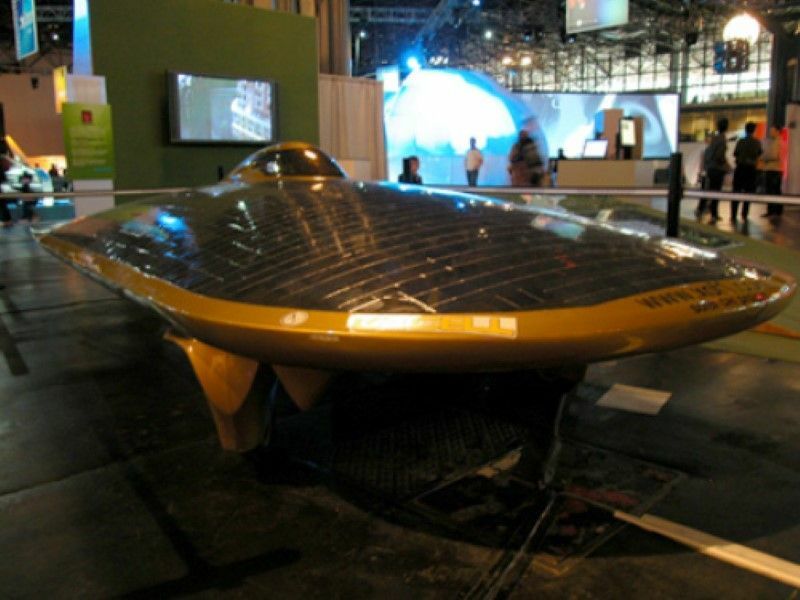 He saw the need for the development of sustainable renewable energy technologies and was inspired by the World Solar Challenge. The route which Marcelo plans to take will cover roughly 14,000 miles of Canada.